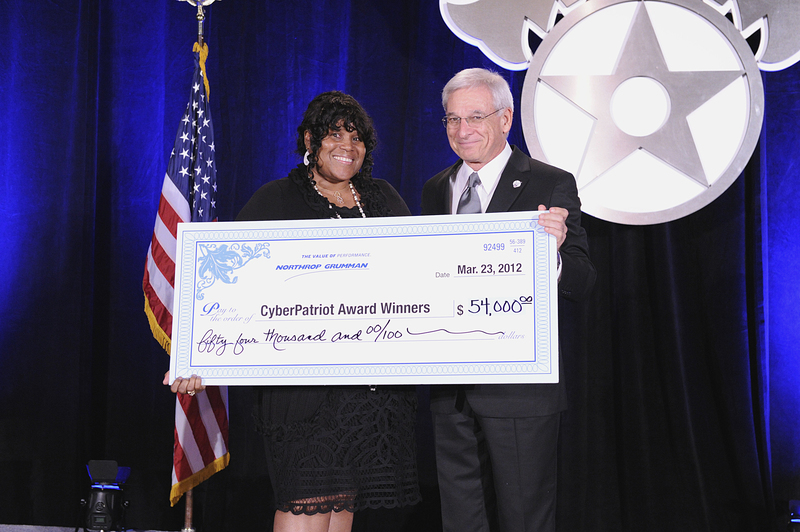 MCLEAN, Va., March 27, 2012 -- The Northrop Grumman Foundation, presenting sponsor of the Air Force Association's (AFA) CyberPatriot program, presented more than $50,000 in scholarships to students on the winning teams of the CyberPatriot IV National Finals Competition, helping the nation's future cyber defenders further their education. Air Force Maj. Gen. Suzanne M. Vautrinot, Commander, 24 th Air Force and Commander, Air Force Network Operations, Lackland Air Force Base, Texas, announced the winning teams in the All Service Division and Northrop Grumman's Linda Mills, corporate vice president and president, Northrop Grumman Information Systems, announced the winning teams in the Open Division. The CyberPatriot IV National Finals Competition was held outside Washington, D.C., on March 23. The AFA's CyberPatriot program is the largest high school cyber defense competition and is designed to excite, educate and motivate students toward careers in cybersecurity. "It is truly an honor to be in the presence of such young, brilliant minds. These finalists all represent the best of the best--not only of today's top high school talent but for tomorrow's cybersecurity future," said Sandra Evers-Manly, vice president, Corporate Responsibility and president of the Northrop Grumman Foundation. The final competition brought 24 teams from around the country together to compete in two different divisions. The All Service Division included students from Junior Reserve Officer Training Corps (JROTC) and Civil Air Patrol (CAP) programs. The Open Division was made up of public, private and home-schooled high school teams. This year, the CyberPatriot competition included two additional teams from the Manitoba Province in Canada who competed parallel to the American teams as the first international exhibition teams. 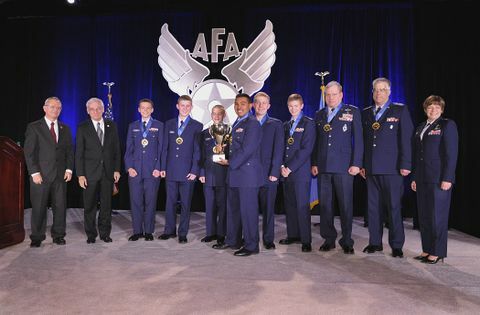 The winners of the CyberPatriot IV National Finals Competition from the All Service Division were: first place, the Colorado Springs Cadet Squadron, Civil Air Patrol, Colorado Springs, Colo.; second place, John R. Rogers High School, Air Force JROTC, Spokane, Wash.; and third place, Clearfield High School, Air Force JROTC, Clearfield, Utah. The Open Division winners were: first place, Alamo Academies, San Antonio, Texas; second place, Lewis and Clark High School, Spokane, Wash.; and third place, Palos Verdes Peninsula High School, Rolling Hills Estates, Calif.
Each student on the winning teams received a portion of the total scholarship amount. First place winners were each awarded $2,000, second place winners each received $1,500, and third place winners each got $1,000. 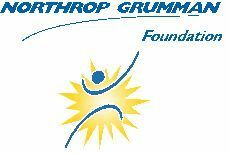 This is the second year Northrop Grumman has provided these scholarship funds. For more information about the event, go to: http://www.newsinfusion.com/events/cyberpatriot . "Each year, the CyberPatriot competition grows in participation, and in its level of complexity as these students continue to challenge the system and amaze us with what they can accomplish," said Diane Miller, Northrop Grumman program director, CyberPatriot. "CyberPatriot has provided students a unique opportunity to showcase their computer skills, their leadership, teamwork, communication and critical thinking abilities. This year's addition of a digital forensics challenge, provided by the Department of Defense Cyber Crime Center, was a new and exciting element of 'insider threat' to cybersecurity. I am so proud of all the competitors, who have worked diligently to get to this point." In its second year as the presenting sponsor, the Northrop Grumman Foundation and Northrop Grumman Corporation have not only made a generous financial donation, but invested time, talent and resources to assist in mentoring CyberPatriot students. This is also the second year Northrop Grumman is offering internship opportunities nationwide for competitors. Last year, 11 CyberPatriots worked side-by-side with cyber pros at Northrop Grumman; this year the company is expanding to nearly 30 opportunities. The company's involvement in CyberPatriot has and will continue to contribute to building a much needed talent base in our country for cybersecurity professionals to keep our nation's networks safe. 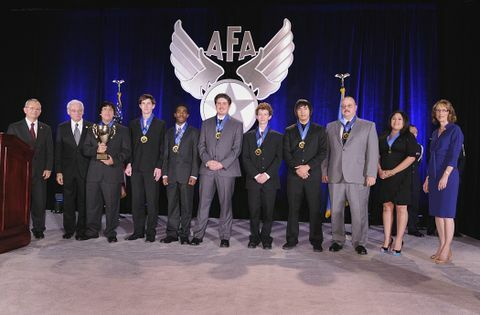 This is the fourth year of AFA's CyberPatriot competition, which was held during the 2011-2012 school year and included more than 1,000 teams representing all 50 states, and U.S Department of Defense Dependent Schools in Europe and the Pacific. This year's competition represents a 53 percent increase in participation. The competition began in October 2011 and included three virtual competition rounds over four months to qualify for the in-person final competition round. Northrop Grumman is actively engaged in supporting cybersecurity education, training and technology. In addition to sponsoring CyberPatriot, the company is also a sponsor of the Mid-Atlantic Regional and the National Collegiate Cyber Defense Competition. Northrop Grumman also formed a Cybersecurity Research Consortium, an industry/academia partnership addressing the cybersecurity challenges of the future. The company has also partnered with the University of Maryland Baltimore County Research Park Corporation to create a pipeline for new cybersecurity technologies called the Cync Program. Northrop Grumman has launched its own Cyber Academy to promote professional training and development and attract top-level talent. For more information on Northrop Grumman in cybersecurity, go to www.northropgrumman.com/cybersecurity .